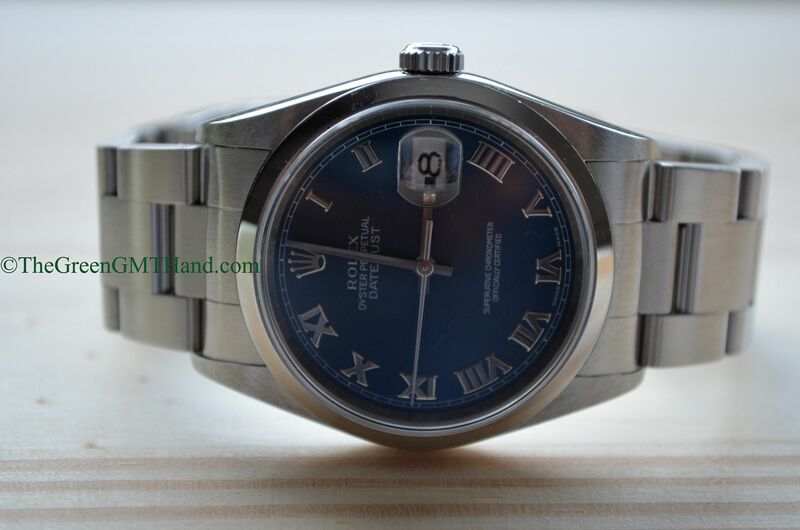 At 36mm, this F serial Rolex 16200 Datejust is considered by many as the perfect sized classic gent’s timepiece, and explains why the Datejust has long been Rolex’s best seller. 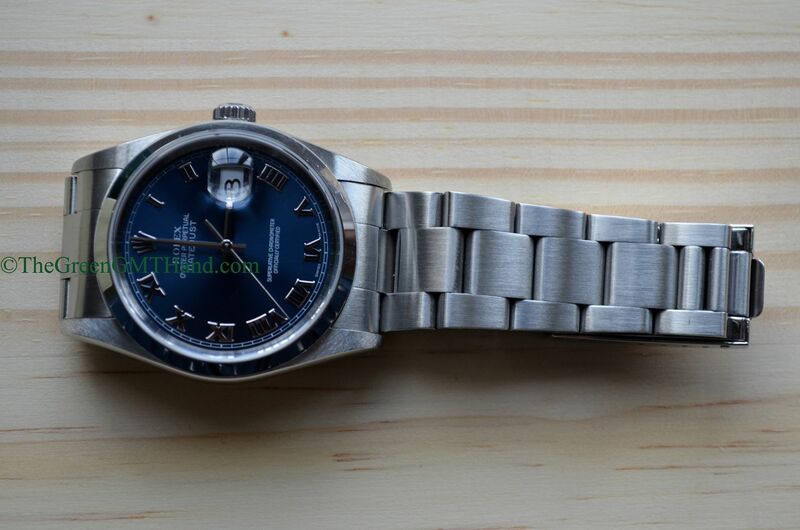 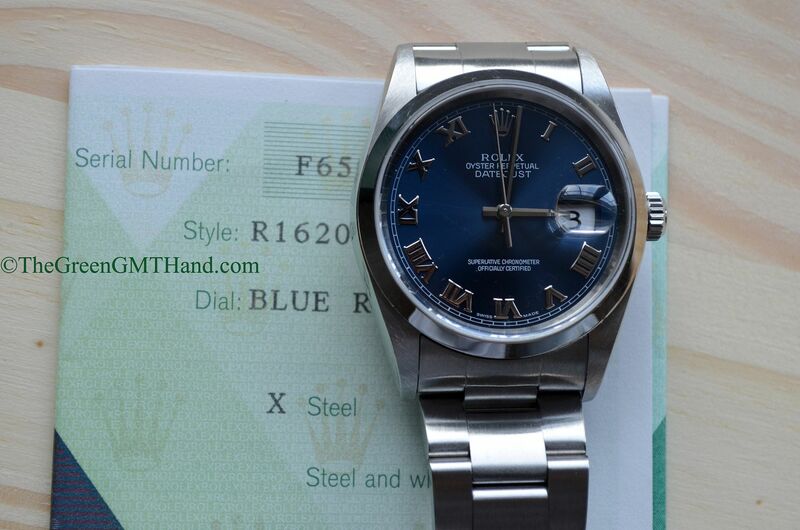 This Datejust has a mesmerizing deep blue roman dial and a simple and classy smooth steel bezel. 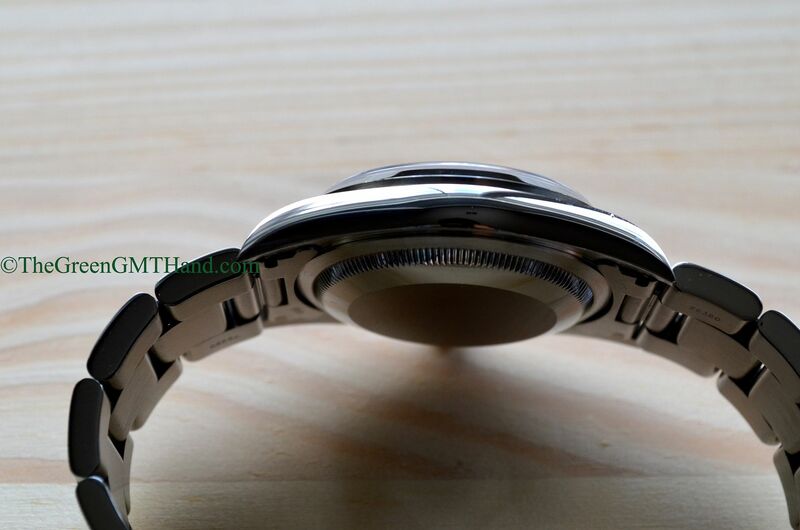 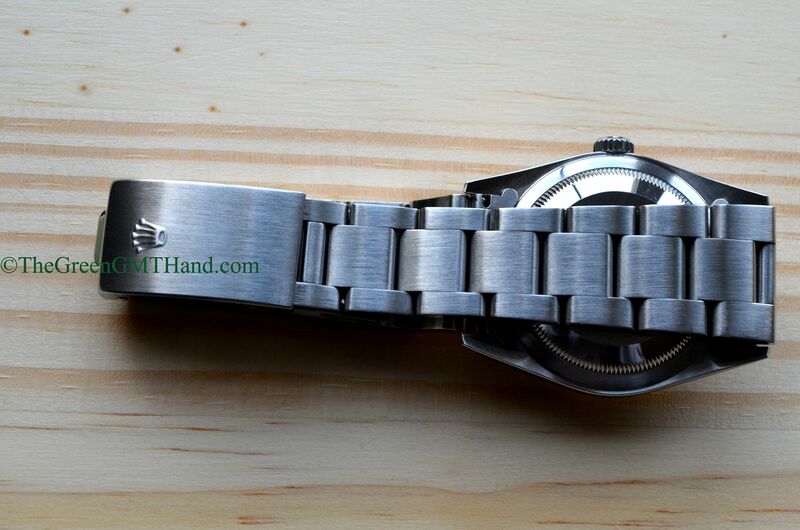 Comes equipped with the ever reliable caliber 3135 date movement and a factory oyster bracelet. 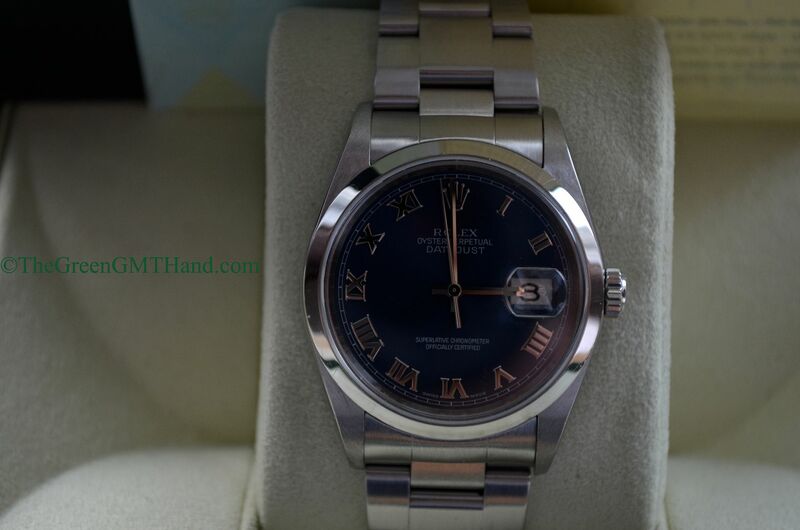 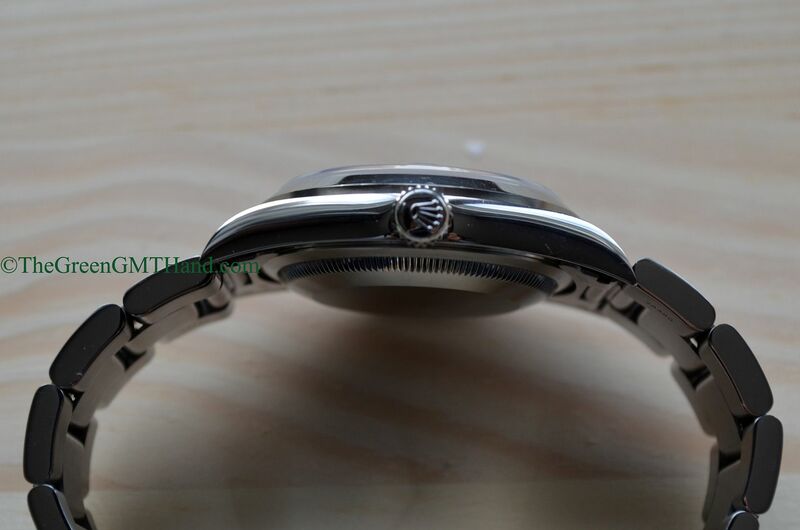 The crystal was replaced with a new OEM Rolex sapphire crystal during service. 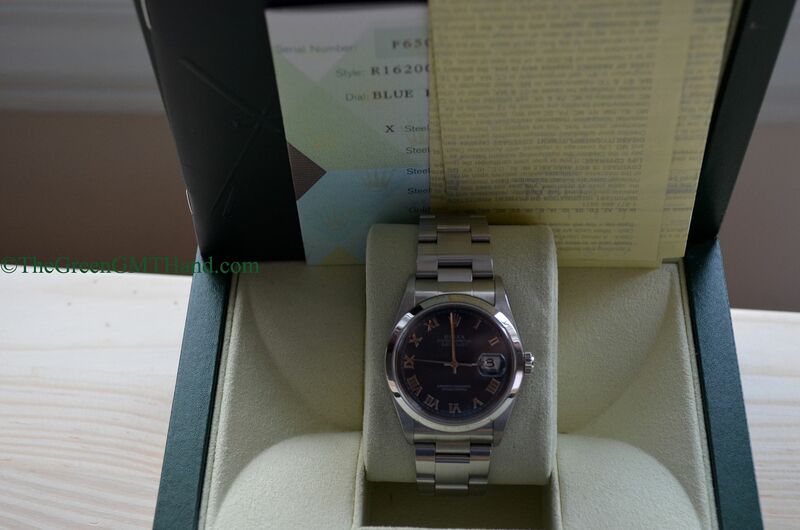 SOLD and delivered to our buyer in California with original warranty certificate, Rolex box, and purchase receipt.